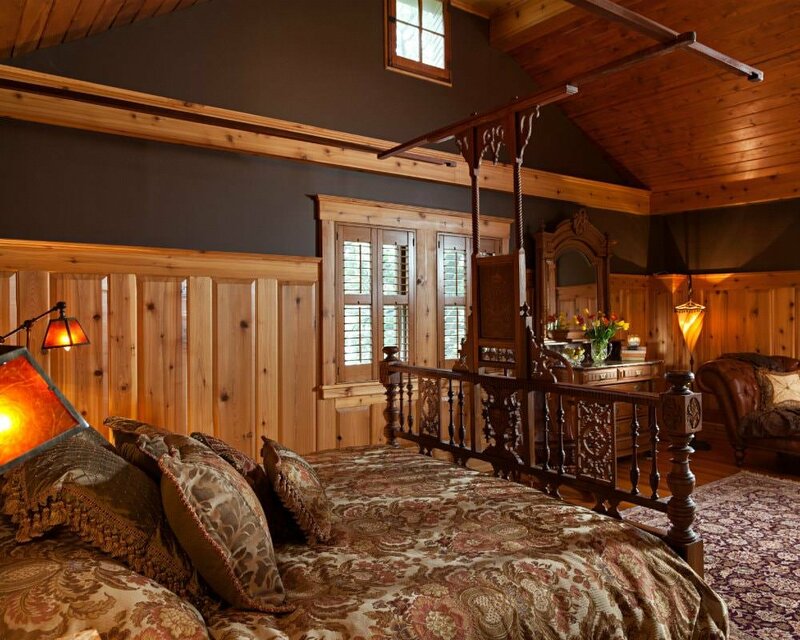 Surround yourself with luxury in the Carriage House’s extra large Charlevoix Suite. 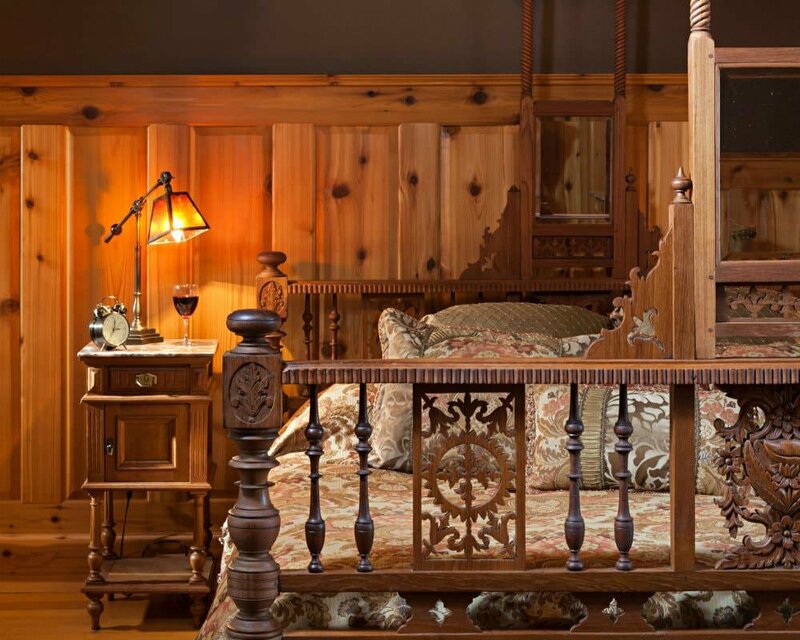 Featuring a beautiful wood-carved king-size bed, this large suite also includes a tufted leather couch, huge antique armoire, marble top dresser, and a private attached bathroom with a high ceiling. 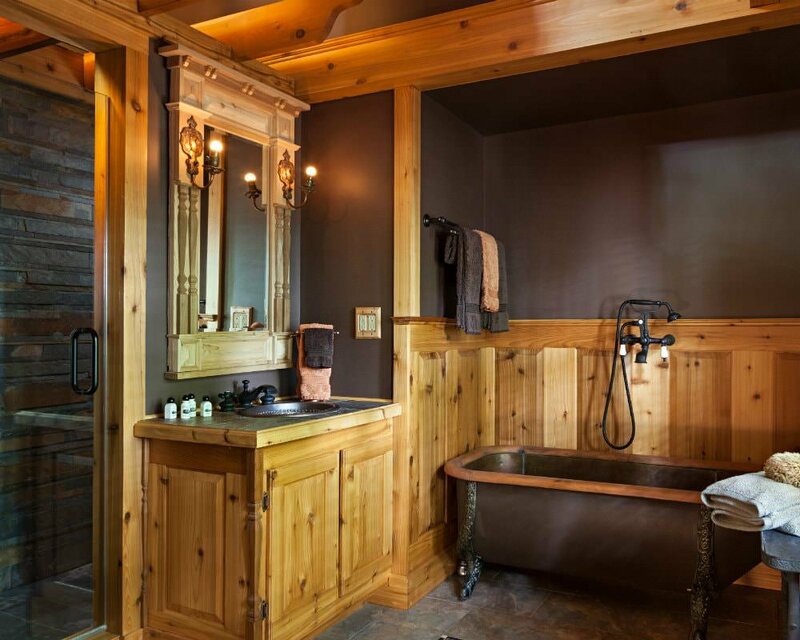 With a spa shower and copper soaking tub, this suite is the perfect setting for your romantic getaway to Bloomington, Illinois. 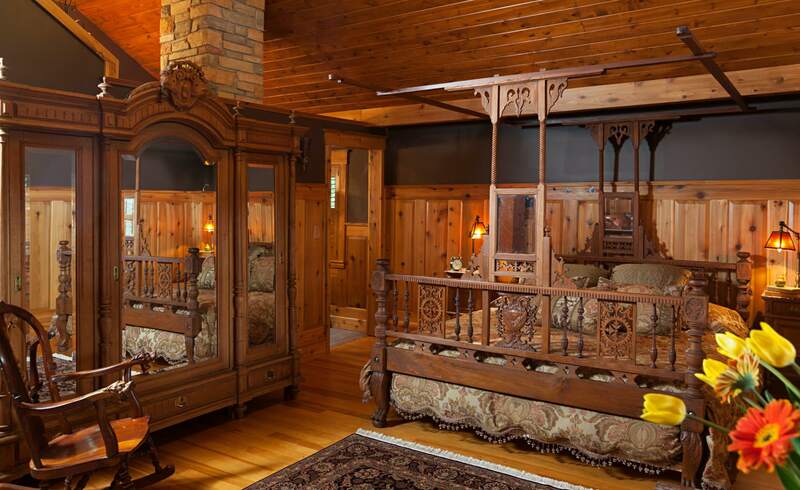 When someone calls to book a honeymoon stay, we most often recommend this suite. The peaceful atmosphere and rich wood tones will enchant all guests – from honeymooners to business travelers. …All I can say is WOW! I wouldn’t expect to find such a room in central Illinois. 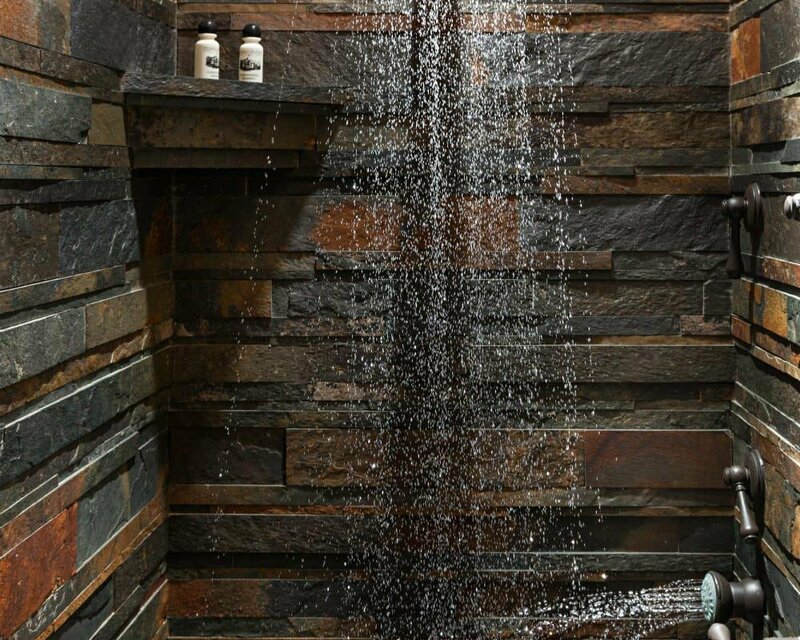 It seems like it would be found in a mountain resort. We really enjoyed the “Get Away with Wine” package next to the cozy wood burning fireplace. I felt like it was our honeymoon all over again. The staff was so kind and attentive. Thank you Vrooman Mansion. We will certainly return. Long before WWI, around the turn of the century, nature lover Julia Scott purchased her secluded summer cottage in Charlevoix, Michigan and named it “The Wilds”. 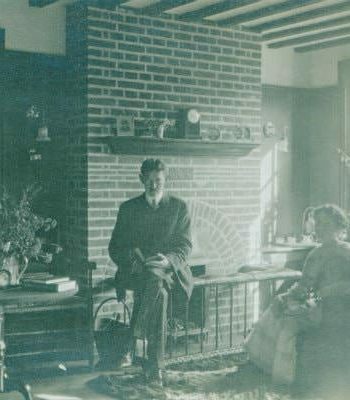 Julia Vrooman completed her popular novel, “The High Road to Honor” at the Charlevoix Cottage in 1918.